Independent Review By Emmeline Peaches We are delighted that Emmeline Peaches has reviewed both the Sybian and our service in general. 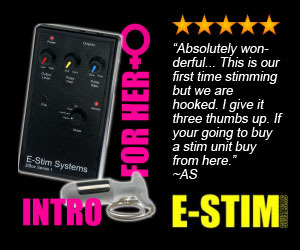 As we expected she loved the Sybian and gave us a great review, highlighting all the good points (and bad) of the Sybian and its use. Emmeline Peaches is a rising star in the world of adult product reviews and her writing style is great. It's relaxed, highly informative and at times extremely witty and we would strongly recommend bookmarking her site if you want honest and frank opinions on a huge array of adult products. Keep an eye on her as her site is going to really take off.